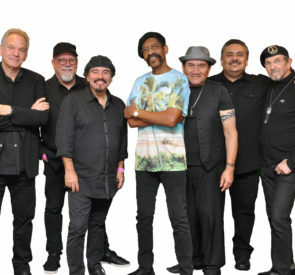 LEMOORE, CA – (January 16, 2019) – Tachi Palace Hotel & Casino is proud to present pioneering American funk band War on Thursday, February 7, at 7:30 p.m. in the Bingo Hall. Tachi Palace offers the premier entertainment experience in the area. Founded in 1969 in Long Beach, CA, War fused elements of rock, funk, jazz calypso and reggae on such hits as “Cisco Kid,” “The World Is a Ghetto,” “Lowrider,” and “Why Can’t We Be Friends?” and “Lowrider,” all while spreading a message of brotherhood and tolerance. In 1971 War released its landmark album, All Day Music featuring the elongated jam “Baby Brother” and the haunting “Slippin’ Into Darkness,” which went Gold. The follow-up, The World Is a Ghetto, claimed Billboard’s Album of the Year for 1973 and was later included on Rolling Stone’s list of the 500 greatest albums of all time. Tickets to see War’s 50th anniversary tour at Tachi Palace can be purchased at TachiPalace.com or at the Hotel Gift Shop. Tickets start at $40 per person. Doors open at 6 p.m. and the show starts at 7:30 p.m.
"name": "Tachi Palace Hotel & Casino"